My favorite bag for summer was my bucket bag. Now though, with September right around the corner, and pumpkin spice everything hitting store shelves its time to pick out my favorite bag style for the upcoming cooler months! So keep hold of that bucket bag or straw tote for a few more weeks and snag one of these trendy bags for when you are ready to face the fact colder days are fast approaching! Whats the first difference in fall bags? Structure. Soft buckets had their moment this summer, but for fall choose a bag that holds its shape! Boxy square bags are coming on strong, so find a bag with great angles. Okay, so this one is not for the faint of heart–but fur is big. I vote to always make it faux, and keep our animals alive and well, but back to the fashion! Fur is huge this fall in the forms of shoes, collars and of course bags. Keep yourself looking trendy and not like you are overdoing it by going for a clutch or envelope bag! Since we did just talk about fur, why not take a walk on the wild side with a great snakeskin print bag. Combine trends and get a structured crossbody bag! As the 70’s trend continues to keep going strong, so does everyone’s love of fringe. If you didn’t pick one up this summer, now is the time! The unexpected trend. This bag wasn’t necessarily all over the runway, but cross body bags, especially the saddle bag style have been a big street trend with no sign of slowing down. Grad yourself one, they go with everything! I love summer….like really, really, love summer. 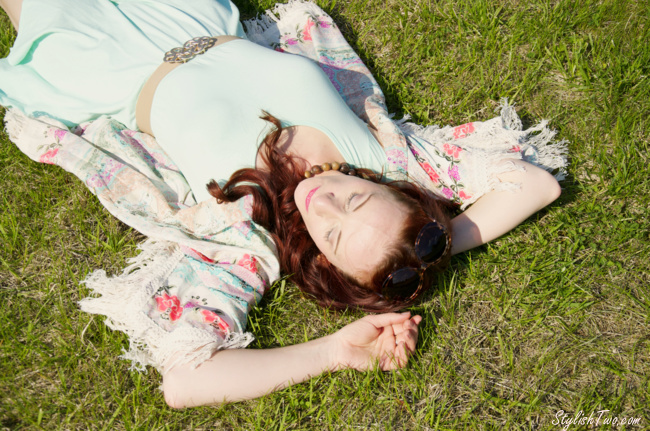 I never want it to end….I want sun dresses, and gladiator sandals, and cropped tank tops to last forever. Reality is that I live in the Northeast, and fall is lurking at my doorstep. I can already feel a change in the air. While the days and bright, warm and sunny, the evening temperatures are on a steady decline. So while I am going to hold onto my summer wardrobe as long as I possibly can, I know its time to start working some of these trends into my wardrobe. That’s right. The 70’s are back, and better than even. Give your boyfriend jeans a break and start wearing flares! Pair them with birkenstocks or clogs for a super easy going retro feel. 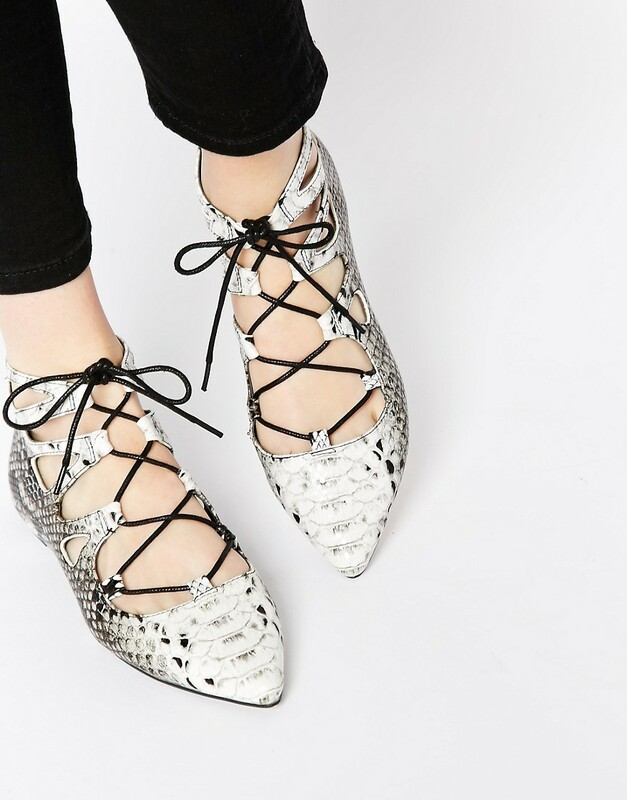 These easy and wearable shoes look great with skirts, shorts and culotets. Get your hands on a pair as soon as possible, and get as much wear out of them as you can! Really, bling in general is in, but earrings top the list. 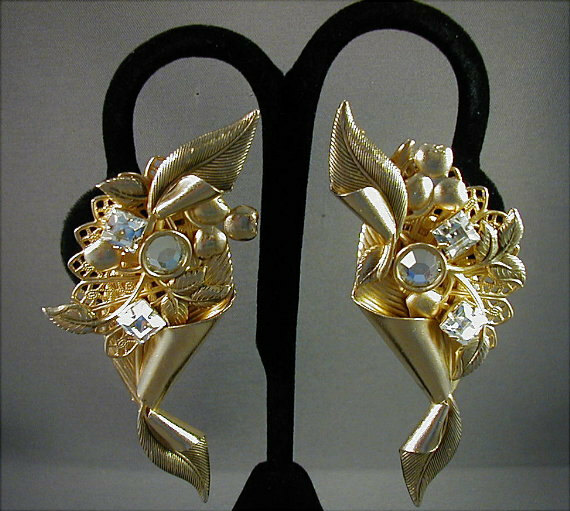 So find yourself a great big pair that take your breath away for a moment and wear them every chance you get If earring’s aren’t really up your ally, consider a broach or another form of statement jewelry! Last year’s brutal winter seemed to influence some of the shoe trends this year! I am loving this jodpher boot style. Not only is it functional, but its so cute with a pair of skinny or boyfriend jeans! Longer hemlines, and narrow pleats let these skirts accentuates your curve with out looking over the top. 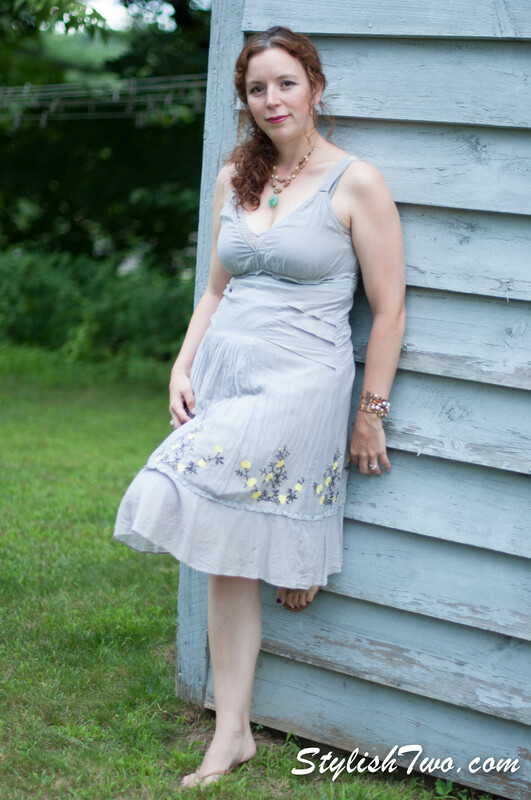 Besides, its almost as fun to shake it in these skirts as it is fringed skirts! On that note, fringe is still in as well, so please, continue to shake it in that as well! Really want to follow the fashion trends? Try carwash pleats! So summer is sadly winding down and you’ll soon start to see fall trends popping up on our blog. But don’t get us wrong, we are going to enjoy every last ray of summer sunshine! To prove it, S & Em got dolled up and went out for ladies night! Fun summer dress, check! Kimono style jacket with a fringe, check. The “naked dress”, check! Have a little fun with your summer fashion, round up your ladies, do a night out on the town, try a new summer trend, or just simply dress for you in what makes you feel good! After shoes, bags are probably my next biggest culprit for trends I just can’t help but give into. I love having a stylish stack of bags to choose from. After all, the perfect bag can really make an outfit, and a change of season always means some great new bags! So what are my favorite bags for this spring? Perhaps what I am most excited about this year, and the bag I have already bought to be my spring go to! Bucket bags have a great effortless, casual feel to them do to their relaxed structure. This season so, there are no limits. They are coming in great colors, textures, and even prints. Any bucket bag that speaks to your personal style will put you ahead this spring! Circles were a very popular shape this year on the runways, and why not? They break the traditional square or rectangular shape which can seem so…stiff! Don’t get my wrong, rectangles are still a trend (especially upright ones), but why not step outside your comfort zone and try a great circle clutch. Nothing says spring quite like a floral print, and my very feminine side loves it. This year, floral patterns came in all colors and styles. 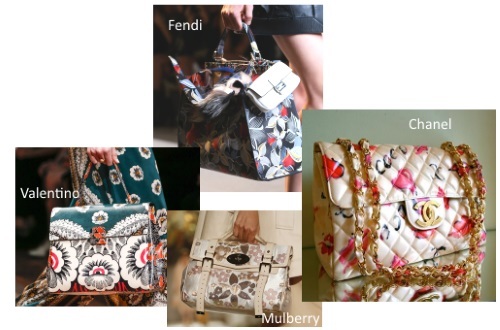 From the subtle Mulberry bag, which hinted on the trend for neural colors, to bolder prints like Valentino and Fendi. Go big, and find a great floral and let a little bit of your girlie side come out. Fringe has been here for a while, and it doesn’t look like it is going anywhere! Suede is a huge trend for spring, and a safe bet this spring, but also feel free to reach out to other fringe shapes and styles. 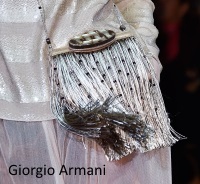 This Armani bag is particularly drool worthy. 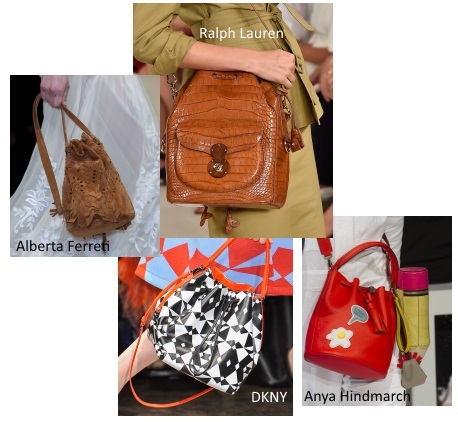 Don’t worry, cross body bags and shoulder bags haven’t left us, but top handle bags are certainly making their presence be know this spring. Even clutches with great side handles seemed to appear everywhere! Not quite ready to make the switch (or give up a free hand), try a bag with handles and a strap like Alexander Wang. It will give you the style, without loosing the convenience. Big bags, and little bags both made some very bold statements this season. Can’t quite decide? Go with both! I love the convenience of a large tote, where I can put everything from my kindle to a first aid kit, but the tiny bags are just so adorable, and sometimes just so much easier…this season, quiet a few designers encouraged us not to choose, and just carry both!